Son of Charles and Frances Anne Bowler. He was educated at private schools and studied art at Leigh's School and at the Government School of Design at Somerset House. He became the headmaster of the Stourbridge School of Art of 1851 and held this position until 1855. In 1853 he married Ellen Archer. They had three sons and a daughter. He obtained a position at the School of Design at Somerset House and from 1861 to 1899 he was teacher of perspective at the Royal Academy. He exhibited at the Royal Academy from 1847 to 1871. The influence of the preraphaelites is visible in his work. His "The Doubt: Can these Dry Bones live?" (1855) is in the Tate Gallery, London. 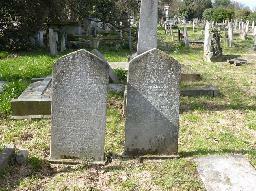 The grave of Henry Alexander Bowler at Kensal Green Cemetery, London.